This challenge is hosted by the lovely talented Sheryl, who also happens to be the person who keeps this wonderful challenge site running from week to week. Immediately I knew what I wanted to do, I had recently bought this lovely Just rite Sunflower stamp. I stamped the image 3 times so that I could decoupage the flower head and leaf. I hope you will join us in this challenge, most people have flowers and lace in their stash so we would love to see what you make, it can be a card, home décor piece whatever you choose as long as it has some flowers and lace on it. You can upload your project here it is very easy. WOW! Have I told you how much I love SunFlowers? This is such a beautiful card! 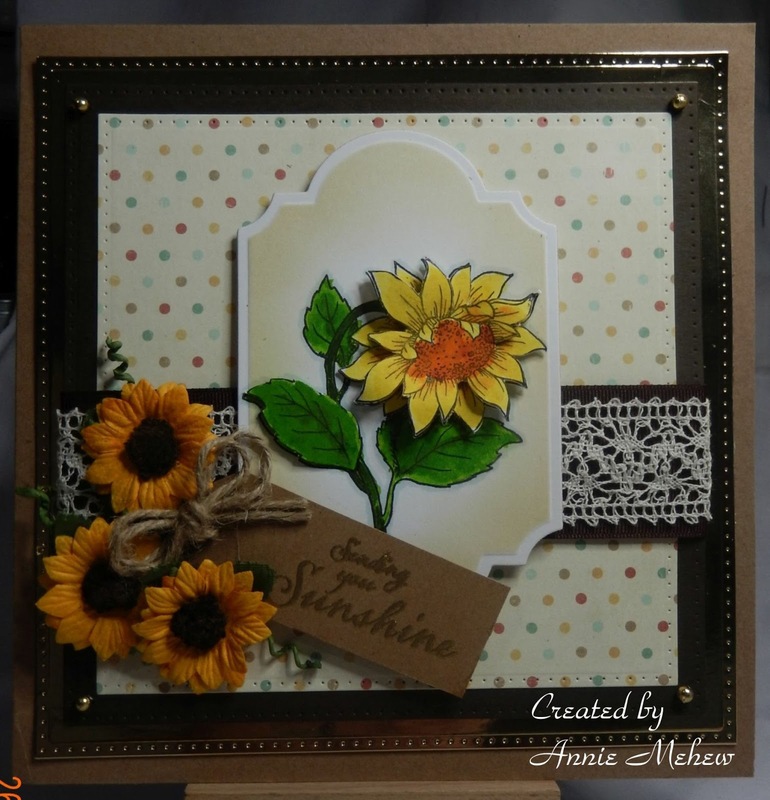 Your sunflower came out gorgeous, Annie! The lace is beautiful and I love the sentiment! I know that this card made me smile! It's always such a treat to admire your creations when you post them on our dt blog! Thank you for sharing your talent!